My dad’s vocation as a Lutheran Air Force Chaplain meant moving lots of places and growing up worshipping in an ecumenical base chapel setting. From a young age I had a deep interest and curiosity about God and different faith traditions. Involvement in church life including youth groups and service learning trips as a teenager were very formative for me. I attended California Lutheran University, and was gradually encouraged by the campus pastor, professors, family and friends to consider going to seminary. There, I studied Religion, was active with campus ministry, and enjoyed study trips abroad to places like the Holy Land. Throughout my college years I worked at a Lutheran camp each summer and served as program director after graduating. All of these opportunities help to develop my sense of call. I planned to attend seminary after college, but life circumstances put those plans on hold. In the years between then and now, I tended to my first call as a Mom to my three daughters and God continued to provide opportunities to serve in many ways including preaching, leading retreats, teaching, and serving in various roles. A trip with Lutheran World Relief to Tanzania and Kenya, as well as service learning trips to Mexico and Peru with my family continued to keep my call alive. Most recently, my family and I returned from living in Ireland for five years with my husband’s job. It was there that I completed a two-year program in Spiritual Direction with the Jesuits. Upon our return back to California, everything seemed to point to seminary. Doors started to open, and I have kept going through them. 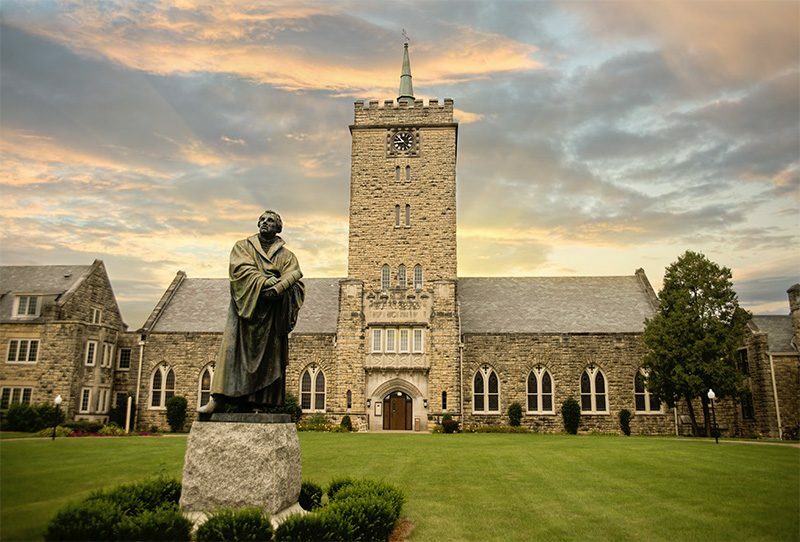 I first learned about Wartburg Seminary 30 years ago while singing in the California Lutheran University Choir under the direction of Dr. Jim Fritschel. He always encouraged students to visit Wartburg. Many years later, my husband and three young daughters did. We loved it. I never forgot that visit and the impression it left on me. I value the ethos of Wartburg Seminary. 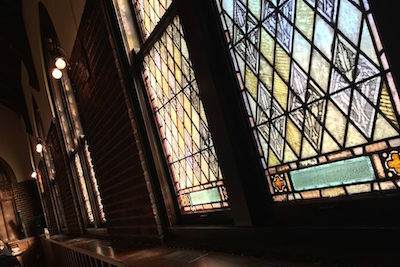 It is a welcoming and innovative community of faith and learning. It is a community that values worshipping together, providing innovative learning opportunities, and is an engaging and supportive backdrop for equipping church leaders. Insightful and caring conversations with the Admissions staff were also big factors in my decision to attend Wartburg. Opening worship during Prolog Week, processing in while having the baptismal water sprinkled on us, marking this new beginning…and the beautiful singing that followed. Experiencing the Wartburg Community both in person and online, and getting to know fellow students, faculty, and staff has been incredible. I feel very connected. It has exceeded my expectations. The “Zoom” platform is excellent. 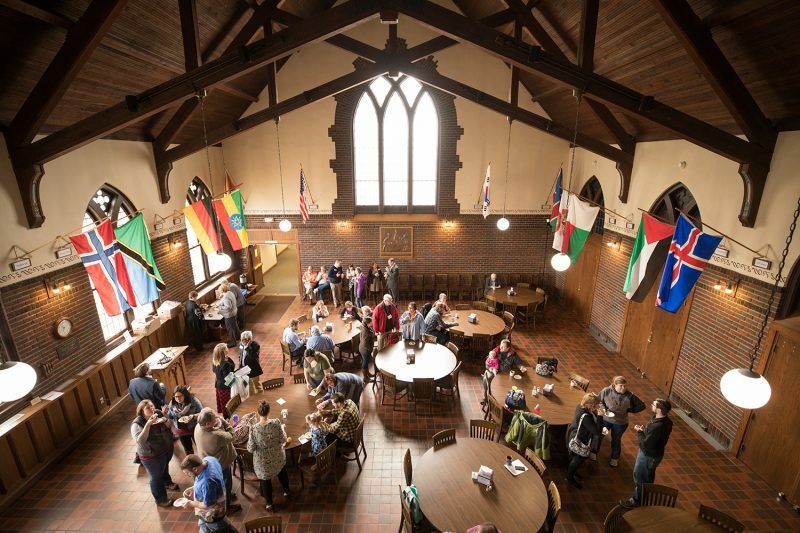 I feel deep intentionality on the part of the faculty and staff to make us all feel connected to the Wartburg community. That sense of community and belonging is something I really value. I would not consider myself to be very good with technology, yet this style of learning and the technology is very easy and accessible. My father, Jay Boggs, who passed away in 2002. We had discussions in a Lutheran context, yet remained open to God’s mystery. He constantly reinforced the idea that God is in all things. There are numerous others, both family and friends that have supported and encouraged me on my journey. I am deeply grateful for my husband Eric and three daughters Anna (23), Sara (20), and Maia (18), and their ongoing encouragement.